What Improvement Could a Dune Remake Bring? 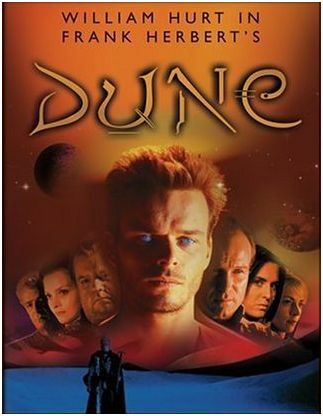 I love the Dune series, read the books and yes even own the David Lynch movie that has some loose references to the books. I even share with many the desire to "erase the image that David Lynch did." That is what Frank Herbert's Dune a 2002 mini-series remake did. What benefit could a Dune remake bring to make it worth doing another one so soon? "I'd love it to be 3D, of course. It's the kind of movie that has the scope to be 3D. Will they do it in 3D? I'd push for that, but I don't know. As a viewer, I've just been watching Avatar with my kids twice in the theater already and had a blast. It's an amazing experience." We would all love to experience Shai-Hulud in all it’s greatness. If 3-D is all that can be brought to the project please don’t waste our time. A visual ride without all of the depth that dune brings would be as empty as pouring our water out on the sands. There are so many other books that could enjoy a good remake or to be made into a movie and some that would serve far better for a hyper visual trippy 3-D experience. Take for instance many of Piers Anthony’s works.